Happy first week of July! We're now into the second half of the year- what have I accomplished so far? Just the mere thought of saying goodbye to June gave me enough reason to panic. I don't know if I accomplished something worthy of being called an "accomplishment" over the last six months, but I have another 6 more months so I hope it'll be okay. Here are some of the things that are giving me good vibes the past days, things that I'm extremely thankful for. I hope this signals a good start for the next 6 months- fingers crossed. 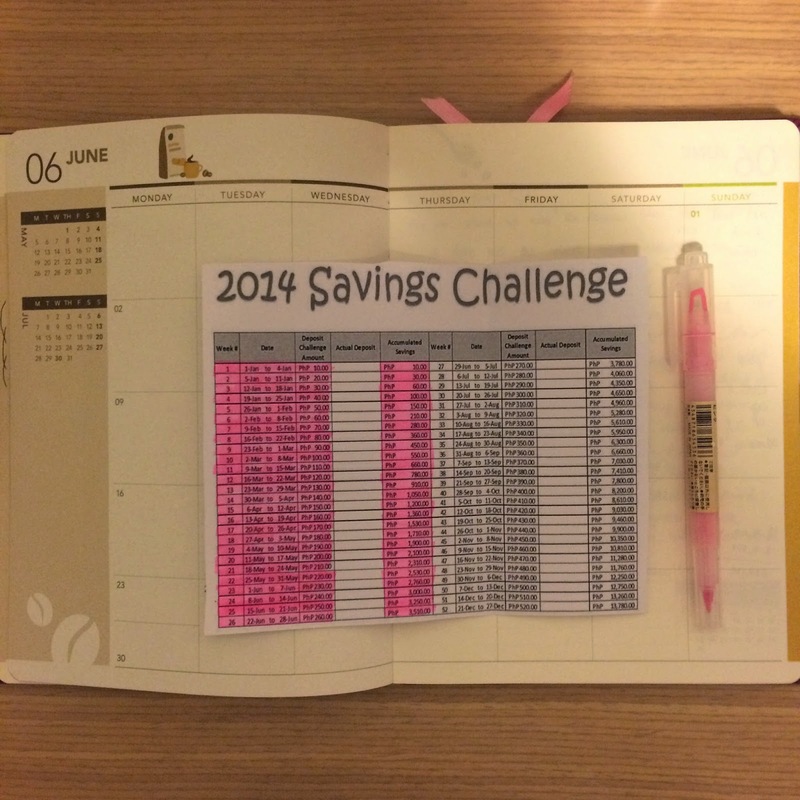 I'm halfway through the 52-week Savings Challenge! The piggybank I stashed with bills and coins was filled up and getting quite heavy by the day. I had to set it aside and hide it somewhere else, while I use another piggy bank for July onwards. I'm so hoping I'd be able to finish this until the last week of 2014. I'm doing the challenge in NT$ (New Taiwan Dollars) and opted for the increments of 10, instead of 50 and 100. It will be easier on the pocket that way. I still don't know what to do with the money I'll be able to save- I'm thinking of using it for me and my mom's plane ticket to Bali next year. Or add it to my COL account. It's been some months since I stopped going to yoga classes, so I often find my weeknights boring. I usually take a leisurely stroll after work before heading home, but lately I feel so tired. My other circle of Filipino friends decided to meet last night for dinner and coffee, and it felt so good to take a breather in between work days. Our couple friends Ferdie and Joyce are expecting a baby boy- Joyce is about to pop in just a few days- so they are taking every opportunity to dine and spend time with us. 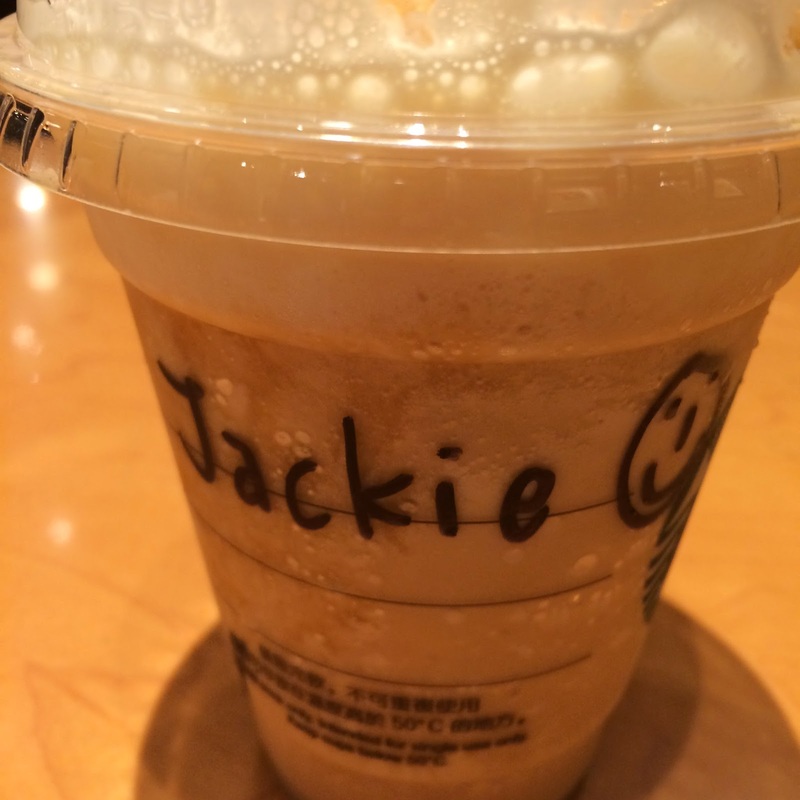 We ended the night at Starbucks, where the barista wrote my name in English- first time ever I encountered a barista here in Taiwan who wrote "Jackie" :) I was so moved I just had to take a photo. Martin, who's also in the same circle with Ferdie and Joyce, invited us to Addiction Aquatic Development (AAD) last weekend because his girlfriend Corina was in town. It was my first time at AAD and was so overwhelmed with all the sushi, sashimi, and all-Japanese food goodness available at the indoor market. 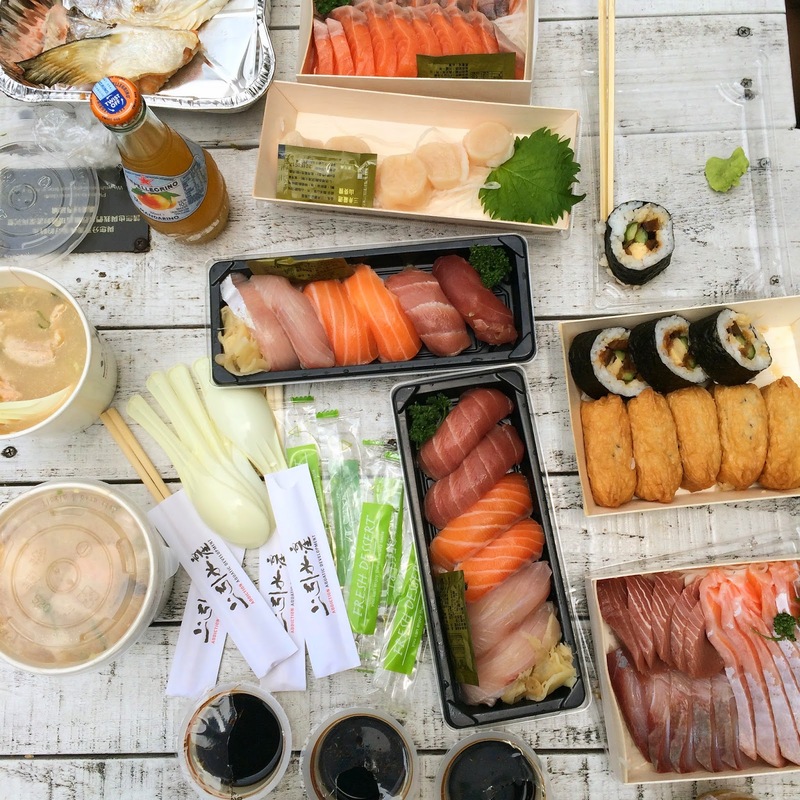 The photo above was our lunch that day: Beautiful trays of sushi and sashimi, and scallops! I hate goodbyes, but since we're having a whole lot of parties to send off some friends (which have been keeping me busy too), it's a good opportunity to get together and look back on the not so distant past-our early days in Taipei. My church friend Fleur will be leaving Taiwan soon after her 3-year stay. We've been having various parties for her, the last one hosted by the Apostolic Nunciature, since the attache assigned here is a good friend of our youth group in church. We had a very nice set up overlooking the garden. We talked about the first time we went to Holy Family Church, the many friends we've made, the coffee breaks, the youth group meetings. We all look forward to seeing each other again after this sad goodbye. I just cant help but imagine the day that I will finally leave Taiwan. I don't know when but my heart tells me it has to be soon. 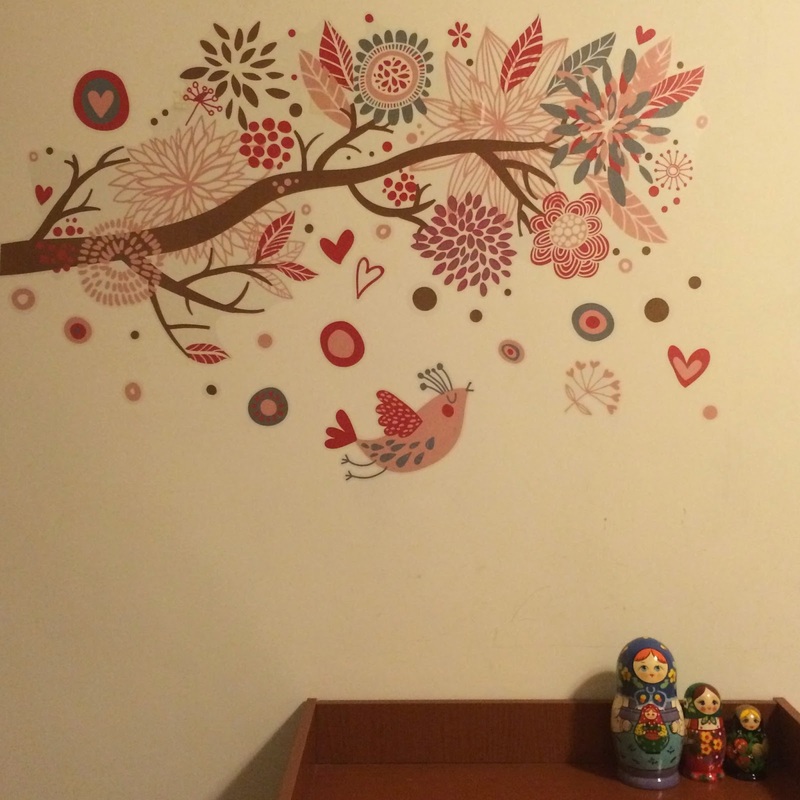 Congratulations on being halfway through the Savings challenge! When I started I thought it would be a piece of cake. But as the amount gets bigger though you realize it's anything BUT easy. 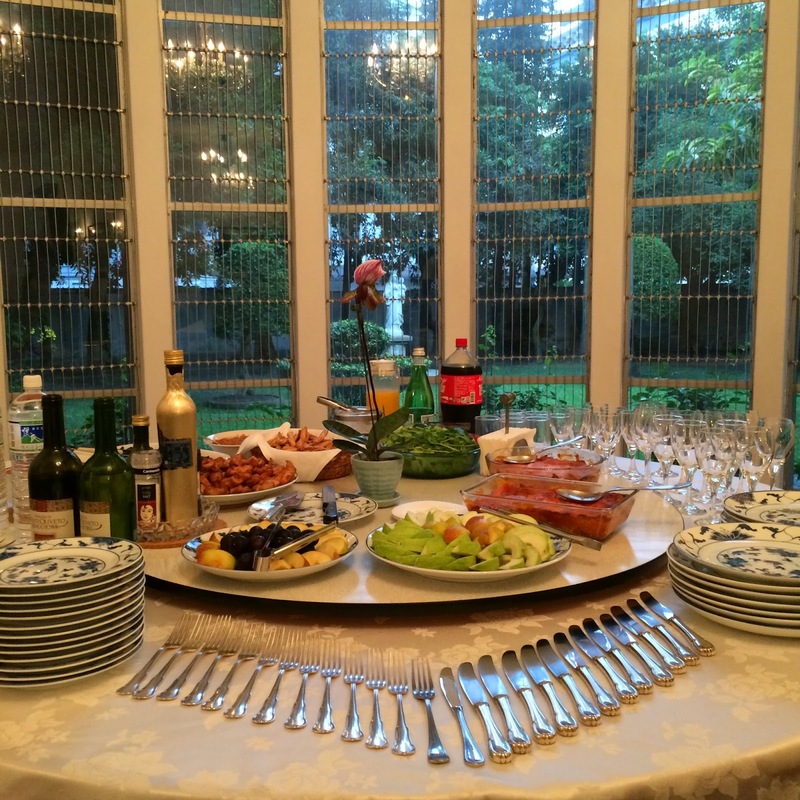 The photo of Japanese food made me hungry! Awww thank you, Niko. I'm trying to work on it pa rin haha.